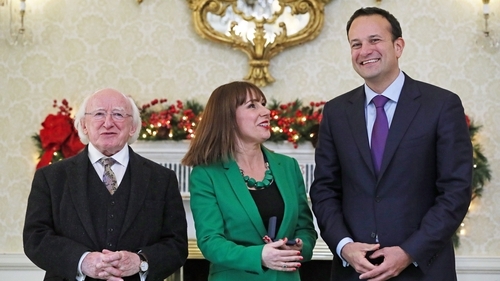 First-time TD Josepha Madigan has been elevated to Cabinet. Here are five things you should know about the new Minister for Culture, Heritage and the Gaeltacht. Josepha Madigan was first elected in 2016 at a time when Fine Gael lost 26 seats. She won in Dublin Rathdown, dislodging Alan Shatter along the way. A qualified solicitor who practised family law prior to her election, she has written this legal tome on mediation. And like her erstwhile colleague Alan Shatter, she has also written a racy novel. Her novel is about a "sassy solicitor". In 2014, she objected to the proposed site of Traveller accommodation in south Dublin as "a waste of valuable resources". Since 2016, she has been campaigning to reduce the waiting time for a divorce from four years to two. The Government has accepted the proposals. She also wants to curb social media comments during criminal trials. And she has now jumped from the backbenches straight to the Cabinet table.